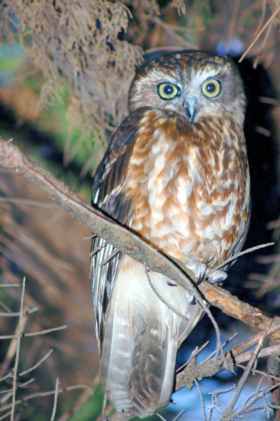 The Kananook reserves are a delightful and rewarding destination for bird watchers and naturalists. Over 200 indigenous species can be found in the reserves. Trees include Coast Banksia, Tea-tree, Coast Wattle, Swamp Paperbark, Black Wattle, Drooping She-Oak, Manna Gum. Sweet Bursaria, Beard Heath, Goodenia, and Correa are representative of the smaller shrubs. Climbers and groundcovers Clematis, Pigface and Running Postman twist and scramble for space. Grasses include Kangaroo, Wallaby Grass and Poa. A variety of rushes and sedges can be found. Numerous wildflowers, orchids, and lilies are resplendent during the spring months. 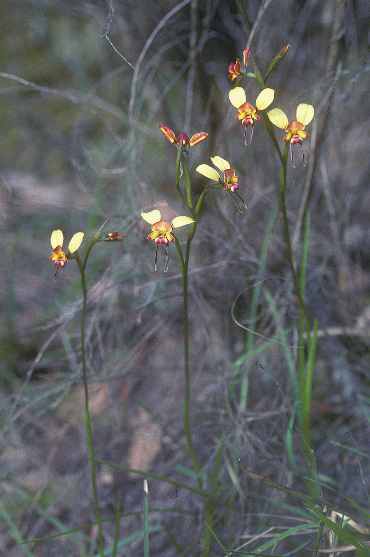 The KCA Flora Listing contains a more comprehensive listing of plants and their status in the reserves. Tables include plants propagated for planting in the reserves and weeds targetted for removal. If you are able to provide updated information or corrections to flora and fauna listings, please don’t hesitate to contact us. Frankston Vegetation Study (2006) prepared by Ecology Australia notes that the Coast Banksia Woodland has a conservation status of Vulnerable, and Swamp Scrub, a conservation status of Endangered. Kananook Creek and its environments support a variety of local native plants and plant communities and these in turn, provide valuable habitat for our native birds, mammals, fish, aquatic creatures, reptiles, frogs, and insects. The KCA Fauna Listing indicates fauna documented in the Kananook reserves. The KCA would delighted to hear from anyone who can verify sightings or add to the list. In 1996, the Kananook reserves were designated Land for Wildlife. 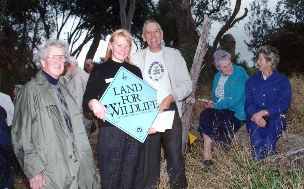 Land for Wildlife (LfW) is a voluntary, non-binding property registration scheme which encourages and assists landholders to provide habitats for wildlife on their property. • provide links between isolated remnants allowing wildlife movement and genetic interchange.